Shopping at the grocery store can sometimes be a stressful event. When you are changing around your diet and learning to choose different, healthier, foods, it can get confusing as to which product to choose. A tip that I looove, suggested by Michael Pollan, is to stay on the perimeter of the grocery store. This is where you will find most of your whole foods, leaving the overly processed stuff towards the center of the store. Choosing foods without labels is ideal because they are usually the foods that have been picked out of the ground and placed on the shelves. But we all know that sometimes there isn’t time for preparation of those bright leafy greens and gorgeous avocados when we are on the go. Below are 10 tips that have helped me navigate the world of misleading labels and harmful ingredients, and are a good starting place for shopping in your local grocery store. contain items that you are unable to pronounce and have never heard of before. Stick with a shorter list of ingredients with items that you recognize. 2. What are the first 3 ingredients? 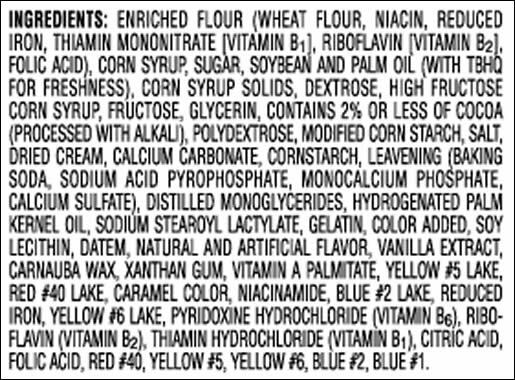 The first 3 ingredients listed make up the majority of the product, and therefore are what you are primarily eating. For example, if you are purchasing strawberry jelly, you would want the first ingredient to be strawberries, not sugar. 3. Is sugar on that list? There are many ways that producers like to hide artificial sweeteners in your foods, and there are many names for sugar. Learn what they are so you are able to identify them. They include sucrose, fructose, glucose solids, barley malt, corn syrup solids, dehydrated cane juice, cane juice, refiner’s syrup, maltodextrin, caramel, fruit juice, dextrose, and many others. Also, check if there is more than one source of sweetener. Many producers use more than one to avoid listing a sweetener in their top 3 ingredients. 4-5 grams of sugar is equivalent to a level teaspoon. 4. Look for the word “whole”. This word should appear in the first or second ingredient, whether it is whole wheat, rye, oats, or another grain. This ensures that you are getting the grain in whole form rather than over-processed and stripped of all its nutritional value. Whole grains should provide at least 3g of fiber per serving, possibly more. 5. High fructose corn syrup. Whether this ingredient is as harmful as everyone says it is (there have been studies to support both sides), it’s presence is still a great indicator of a highly processed food, one that you probably want to stay away from. 6. Healthier sweeteners. Honey, maple syrup, stevia, blackstrap molasses, unrefined coconut palm sugar, and date sugar are among some of the healthier options for household and product sweeteners. 8. Watch out for trans fats. No amounts of trans fats are considered safe. This processed ingredient is associated with raising LDL (bad) cholesterol and increased risk of heart disease and diabetes. Foods can call themselves “trans-fat free” even if they contain up to half a gram of trans fats per serving. Look on the ingredients list. If a food contains hydrogenated or partially hydrogenated oils, it contains trans fats. why should they be in your food? 10. Most importantly, know that everyday can’t be perfect. This is a guide to help you navigate the crazy world of packaged food. Trying your best is a step in the right direction. When you use these guidelines most of the time, you will be doing wonderful things for you and your loved ones, and you will be teaching your body to enjoy healthier foods. I hope that some of these tips can help you in your shopping experience. If you have any questions, please don’t hesitate to ask! Tags: healthy, ingredients, list, safe. Bookmark the permalink. I was examining some of your posts on this internet site and I think this site is real informative! Keep putting up. Hey Megan! How great that you are helping others get clear on which foods are “safe” for consumption! You are more then welcome to use the picture, but I grabbed it off the internet so I am not sure which product it came off of. If if would work, you might consider bringing a packaged food with you for people to hold and pass around. I love to use Cliff Bars in my workshops when talking about ingredients because they are considered “healthy” but have such a long list of ingredients. A good comparison is Lara Bars, which usually have about 3-4 ingredients. Great tips that can help with everyone’s shopping experience!